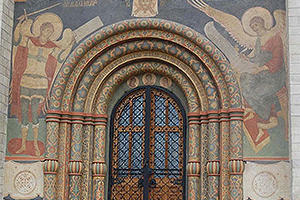 A remarkable cultural and historic monument and symbol of ancient Russian architecture. 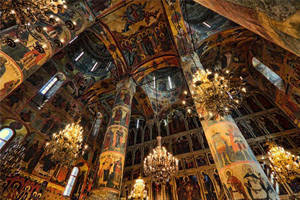 Beautiful 15th- to 17th-century frescoes illustrating Orthodox monumental art. 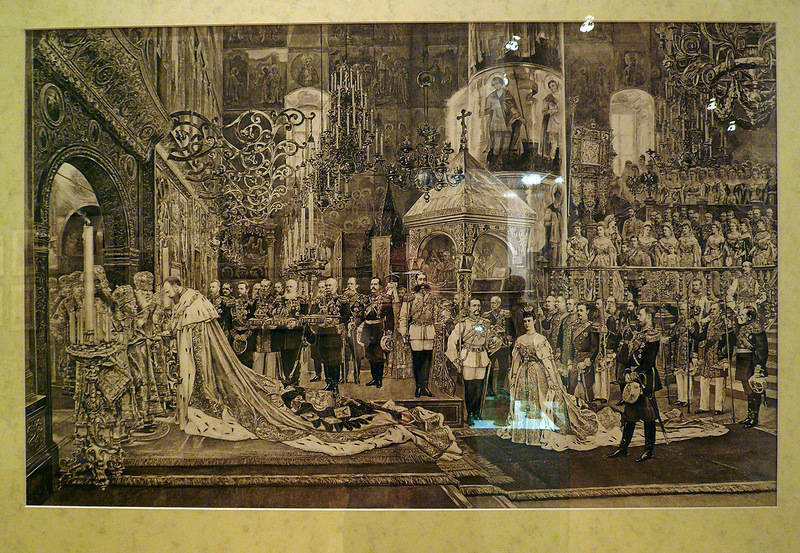 Relics of Metropolitans of Moscow ‒ Saints Jonas, Philip II, Hermogenes and Peter. Visitor information and audio guides are available in English. 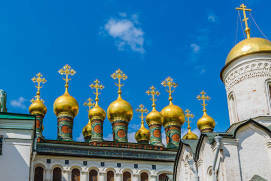 The Dormition CathedralRussian: Uspenskiy sobor or Успенский собор (or the Assumption Cathedral) of the Moscow Kremlin was the key Orthodox cathedral of the Russian state in the 15th–19th centuries. 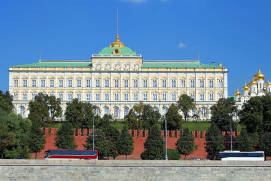 It is where all the emperors of the Romanov dynastythe second dynasty to rule Russia, reigning from 1613 until 1917 were coronated. 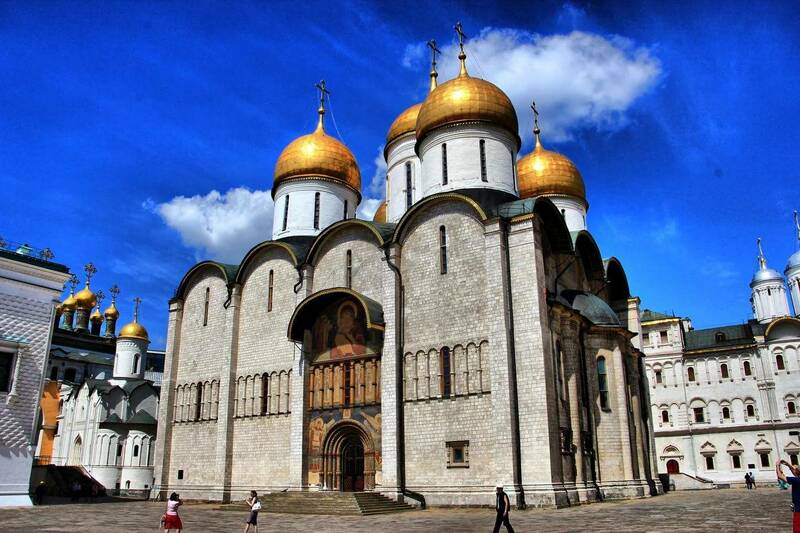 The cathedral was the burial place for the Metropolitans and, later, for the Patriarchs of Moscow. 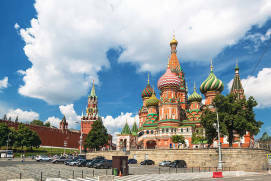 This is one of Russia’s oldest and most remarkable cultural and historic monuments, a symbol of ancient Russian architecture. 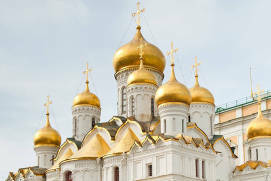 The cathedral of the assumption was built in 1475 and consecrated to the Feast of the Dormition (passing of earthly life) of the Mother of God, who is believed to be a patron of Russia. 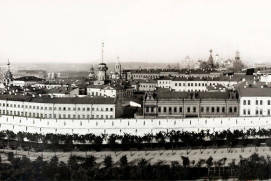 The cathedral retained its high status even after the capital of the Russian Empire had been relocated to St. Petersburg in the early 18th century. 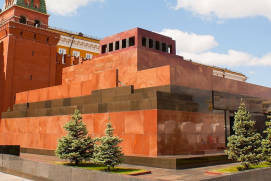 Aristotele Fioravanti, the Italian architect who designed this temple, came up with an amazing mix of Russian temple building traditions and the latest techniques applied in European design and construction. 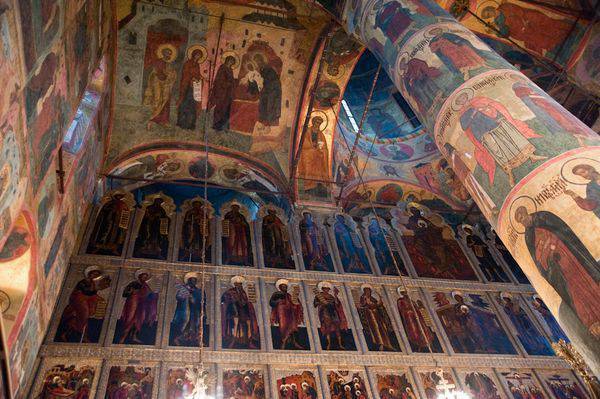 Besides its architecture, the Dormition Cathedral is interesting because of its wall paintings—the beautiful 15th–17th century frescoes exemplifying Orthodox monumental art. 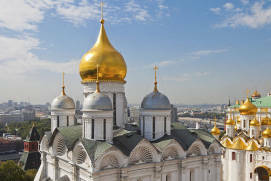 The Cathedral of the Dormition has been a PatriarchalRussian: Патриарший cathedral since 1991, but worship services are quite infrequent there, so the temple is open to tourists virtually all year round. 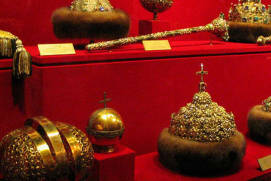 There are reliquaries containing the relics of the Metropolitans of Moscow: Saint Jonas, Saint Philip II, Saint Hermogenes, and Saint Peter who gave his blessing for the construction of the very first Dormition Cathedral on this site in 1326. 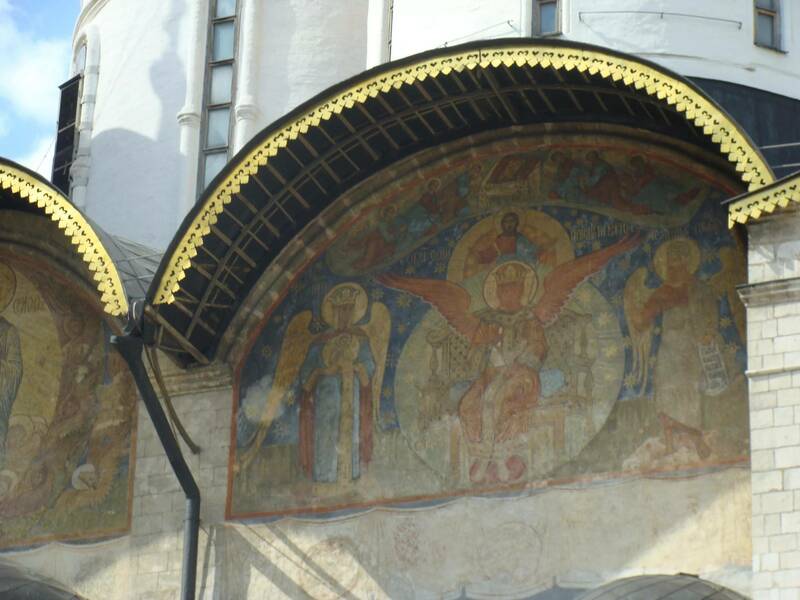 The cathedral also features some ancient icons of great value dating back to the 13th–14th centuries. 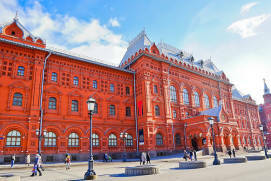 If the Russian history is a subject of your interest and you want to know, for example, what is the oldest church in Moscow, what are the famous monasteries around Moscow, which style of Moscow architecture you can see only in this town, you can read on our website pages about Red square Moscow and “History and Architecture”. 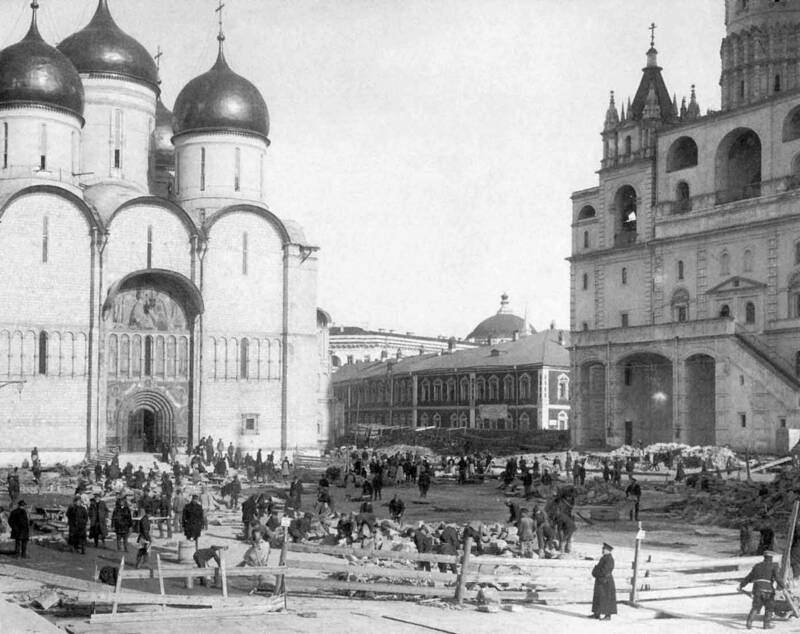 The history of the construction of the cathedral was long and eventful. 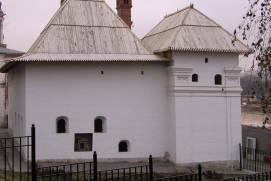 The first temple appeared on this site during the reign of the Grand Prince of Moscow Ivan KalitaGrand Duke of Moscow from 1325 and Vladimir from 1332 (early 14th century), but it soon became decrepit and could no longer accommodate all the parishioners. 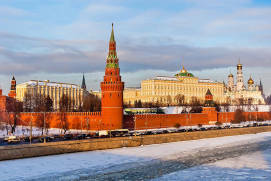 By this point, Moscow had ceased to be the centre of an individual principality and had become the capital of the united Russian State. Therefore, the 15th century saw the beginning of the construction of a new cathedral, large and adorned in accordance with its high status. 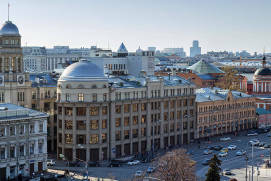 The construction was commissioned to architects Krivtsov and Myshkin. 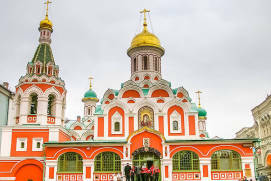 Remarkably, they were ordered to use the Dormition Cathedral in the city of Vladimira city 200 kilometers to the east of Moscow as a model, since Vladimir had been the political and cultural centre of Russia in the 12th–14th centuries. 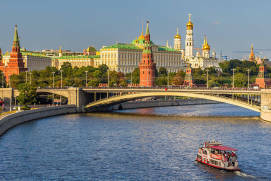 That is, the intention of the Moscow princes was to underscore the connection between the old and the new capitals, demonstrating Moscow’s leading role in the unification of Russian lands. 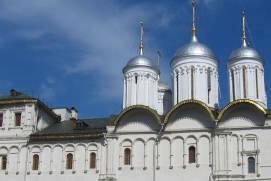 The construction was progressing quickly, and the new temple had been built all the way to the vaults when an earthquake collapsed it in 1474. 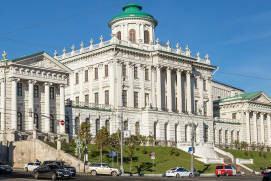 An ‘investigation committee’ of masonry craftsmen from the city of Pskovone of the oldest cities in Russia was called immediately to conclude that the cement used for construction had been of poor quality and the same was true for the other materials. If it hadn’t been for the natural disaster, the temple would probably have lasted for a few more years, but would in all probability have not survived until today. 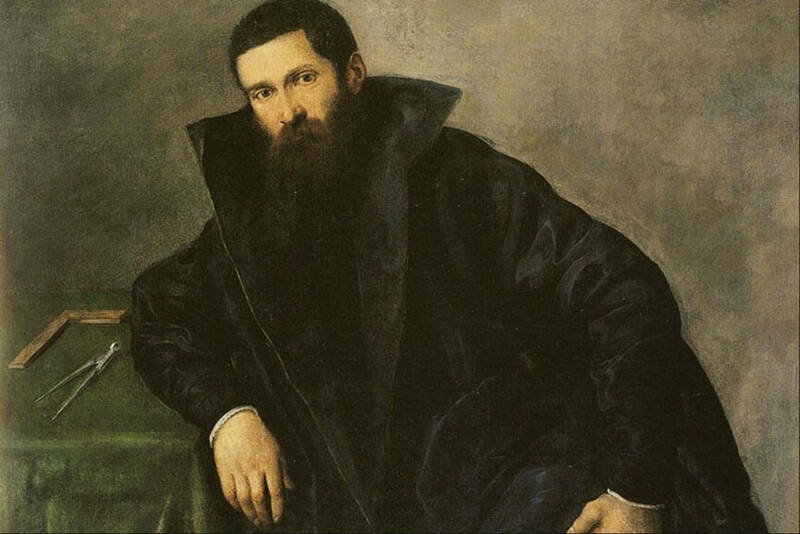 Perhaps after losing confidence in the local school of construction, Tsar Ivan III the Greatruled from 1462 until 1505 decided to pass the responsibility for building the temple to Aristotele Fioravanti, an architect who was invited from Italy. 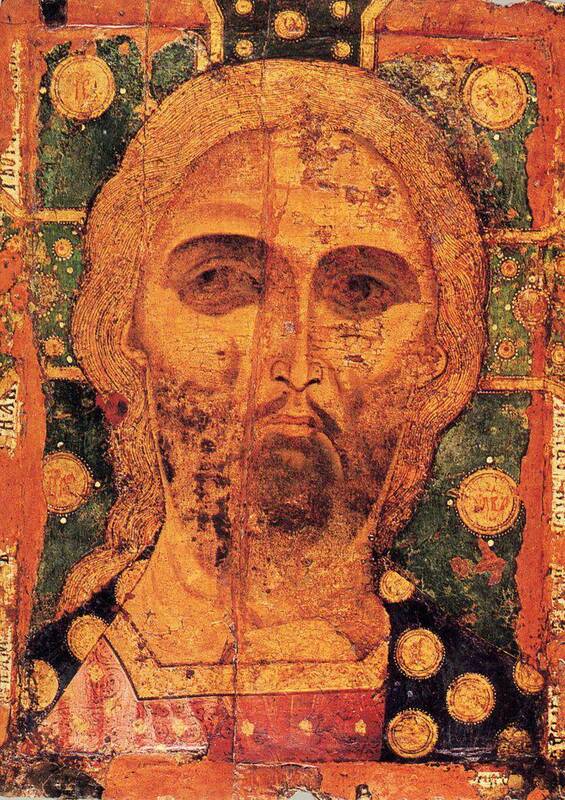 Fioravanti was also told to keep his design concept in line with that of Vladimir’s Dormition Cathedral but received relative freedom of choice in everything else. 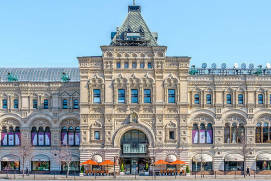 Muscovites were amazed at the speed of construction supervised by the Italian architect and at the new techniques he used. Fioravanti even build the first brickworks in Russia, in the area which is currently the Moscow district of KalitnikiRussian: Калитники. 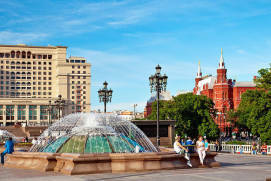 Fioravanti’s creation is a jewel that adorns the Cathedral SquareRussian: Sobornaya ploschad or Соборная площадь and the entire city of Moscow. 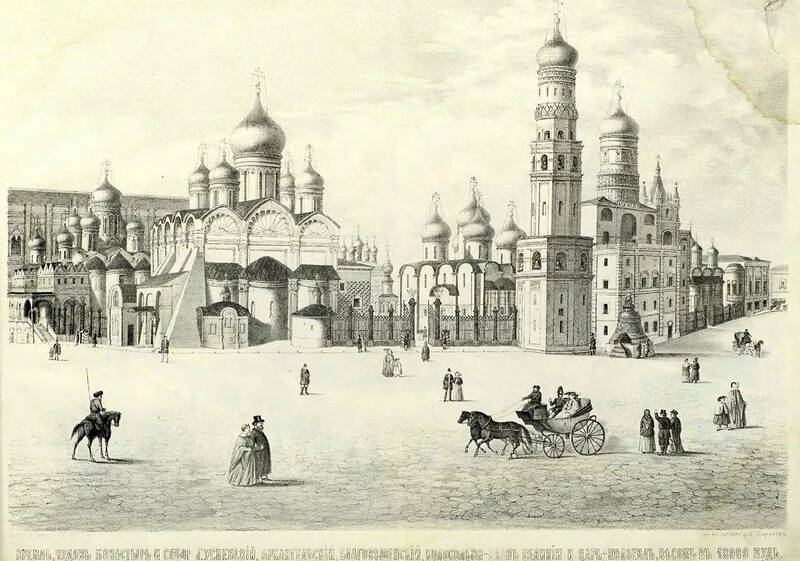 The architect fully embraced the spirit and meaning of Russian temple building, its simplicity and fierceness, its traditional five-domed design, nested arches over entrance portals, and bands of blind arcading. 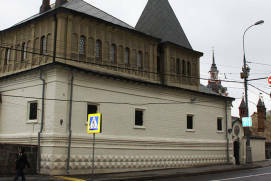 He clad the façades with limestone, a material typical of Moscow. 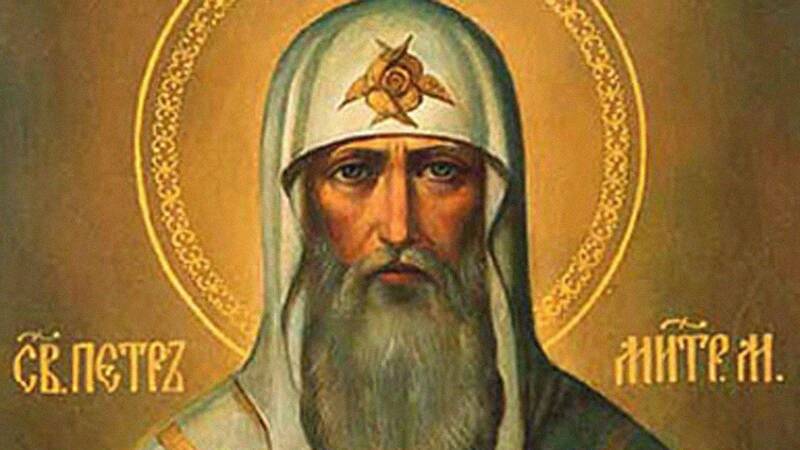 However, Fioravanti also brought a number of new features into the Russian art. 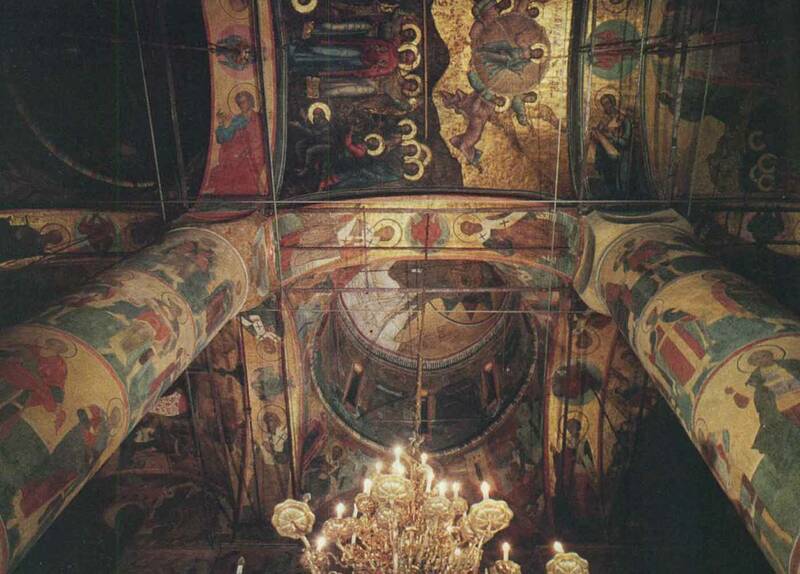 The Cathedral of the Dormition resembles some of the hall temples in Northern Italy: all of its vaults have the same height, making the inner space very cohesive and full of light. 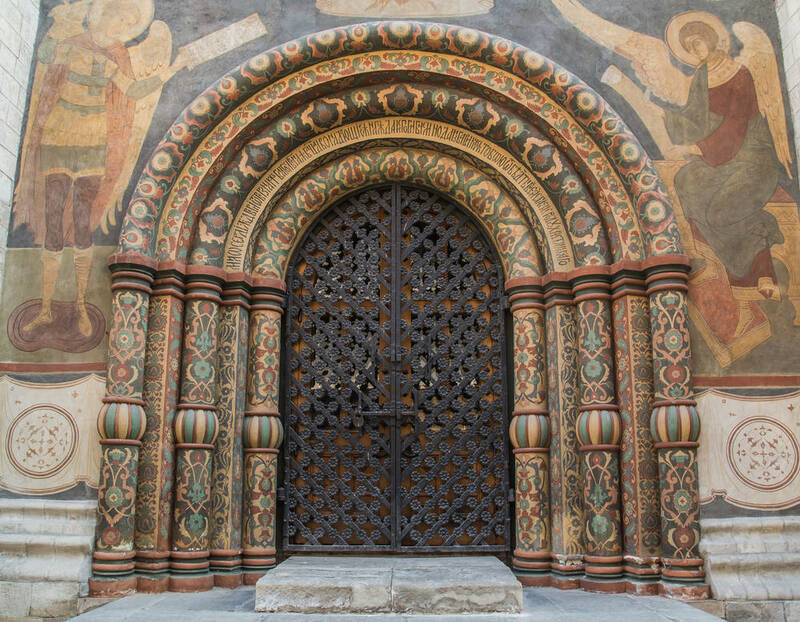 The vaults rest on four round pillars whose capitals are also shaped in a manner typical of the 11th–13th century Italy. 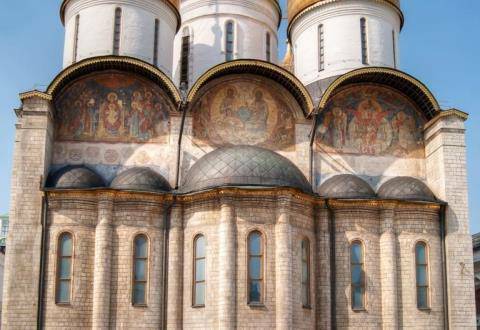 Another special feature of the Dormition Cathedral is the elongated west wing, which makes it look akin to Italian basilicas, which were so familiar to Aristotele. 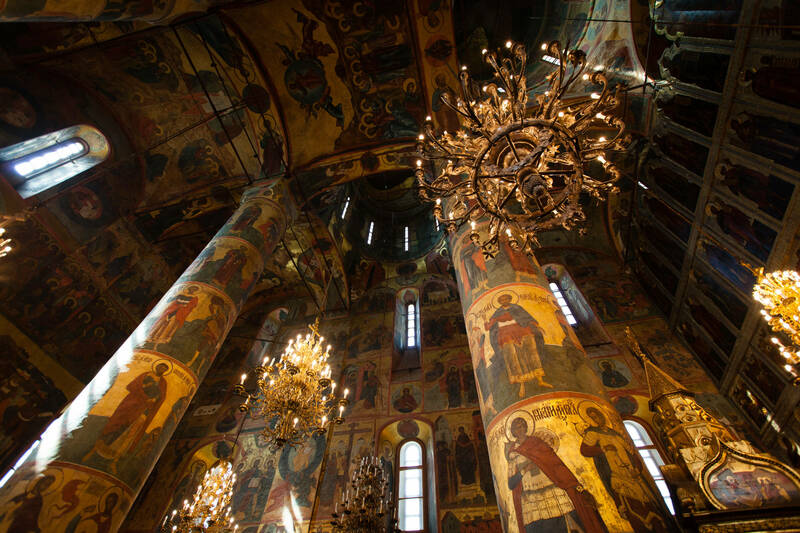 The architect essentially managed to create a large and cavernous cathedral while preserving the traditional proportions of a Russian temple. 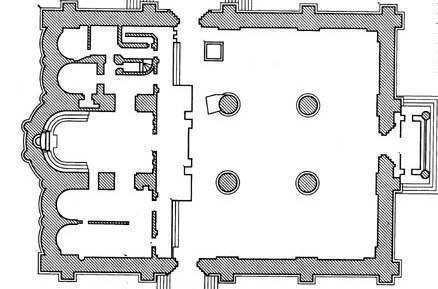 For this reason, the main dome, traditionally located above the ambo, has to rest on pillars of different shapes: two round pillars, and two square ones put behind the chancel screen. 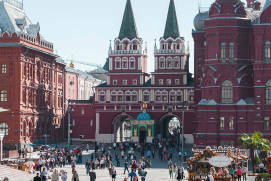 The groin vaults, square pillars and tholobates are made of brick, the extensive use of which in construction was totally new to Rus’. 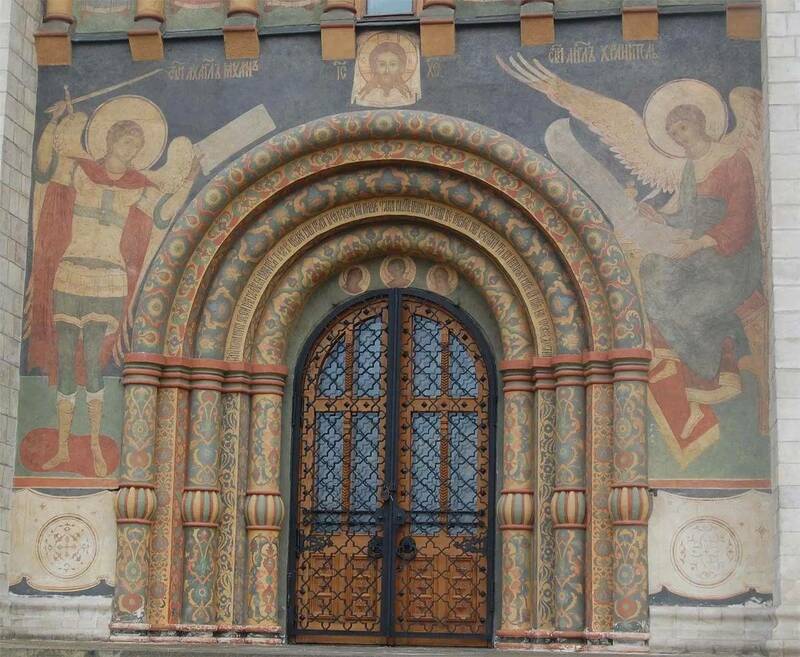 The walls of the Cathedral of the Assumption are covered in frescoes that clearly and in thorough detail depict themes from the Old and the New Testaments, as well as images of saints revered in Russia. 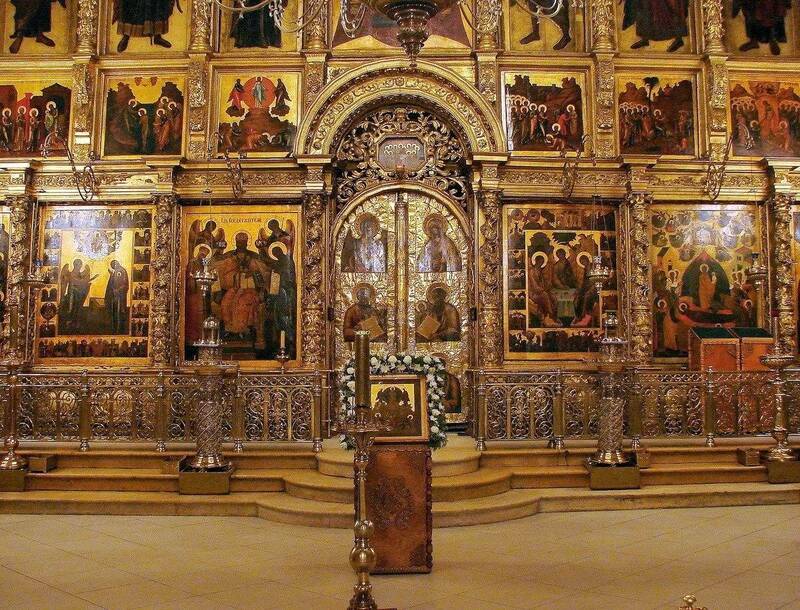 Most of the wall paintings and icons of the five-tier iconostasis at the Dormition Cathedral were created in the mid-17th century and underwent a restoration in the 1970s–80s. 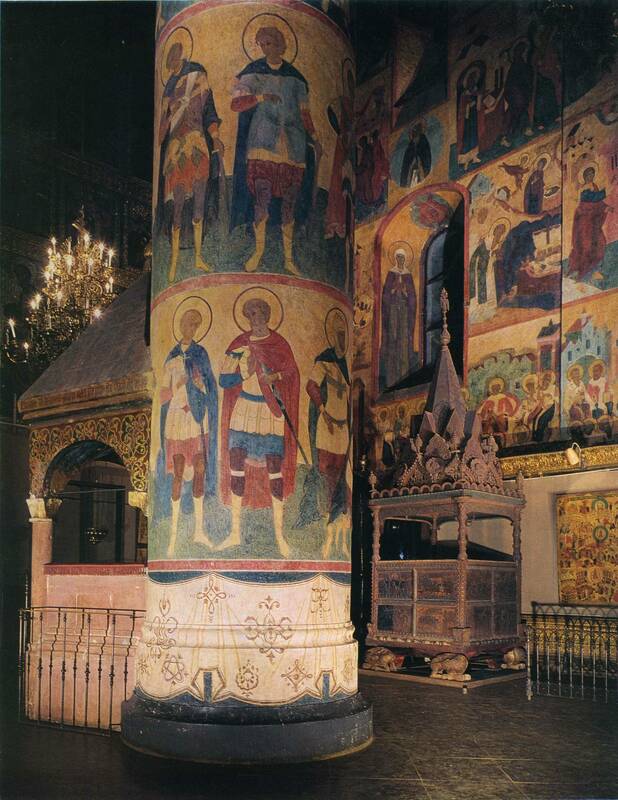 Note a curious artistic technique used by the painter: the surface of the pillars is split into tiers that are shorter than those on the walls. This creates the visual effect of the temple being less spacious horizontally but at the same time taller, as if reaching for the sky. 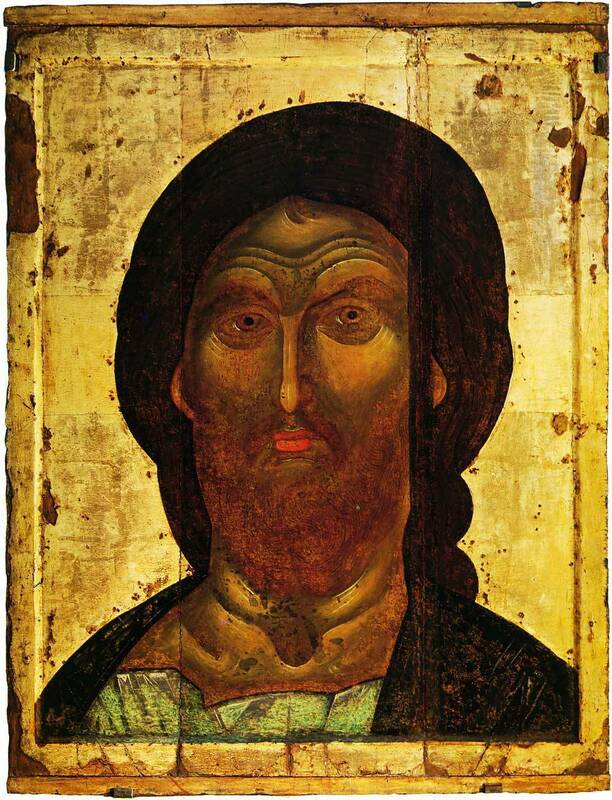 In addition, the Dormition Cathedral presents a few priceless ancient icons: The Saviour with Golden HairRussian: «Spas Zlatyie vlasy» or «Спас Златые власы» (13th c.) and The Saviour of the Fiery EyeRussian: «Spas Yaroe Oko» or «Спас Ярое Око» (14th c.). 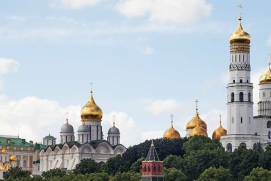 Of course, we should also appreciate the role of the Dormition Cathedral as an element of the whole: not only does it organise the space of Cathedral Square but it also contributes in many ways to the famous Kreml panorama, which has long been the signature sight of Moscow. In summer (from May 15 to September 30): 10 a.m. - 6 p.m. Ticket office: 9 a.m. - 5 p.m. In winter (from September 30 to May 15): 10 a.m. - 5 p.m. 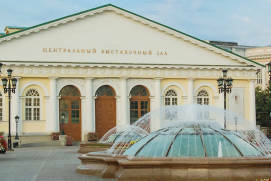 Ticket office: 9.30 a.m. - 4.30 p.m.
From 250 to 500 rubles depending on visitor category and programme of visits. Photo and video filming is included in the ticket price (allowed outside the building). 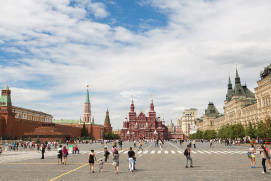 The ticket price includes a visit to the entire architectural ensemble of the Cathedral Square, except for the ascent to the Ivan the Great Bell Tower. 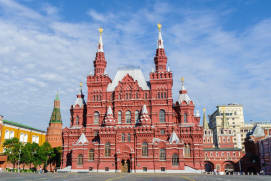 There are no special demands for tourists in Museums of the Kremlin, but when visiting churches, one should remember the Orthodox tradition and to avoid wearing very revealing clothes. 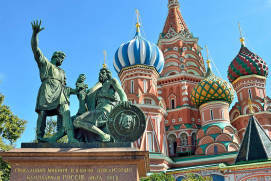 Guided tours are held in Russian, English, German, French, Spanish and Italian languages. There is an opportunity to buy tickets online. The temple affects with its history, architecture, mural paintings and icons. 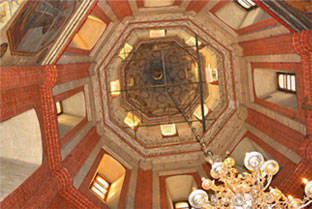 Four strong columns carry the ceiling. 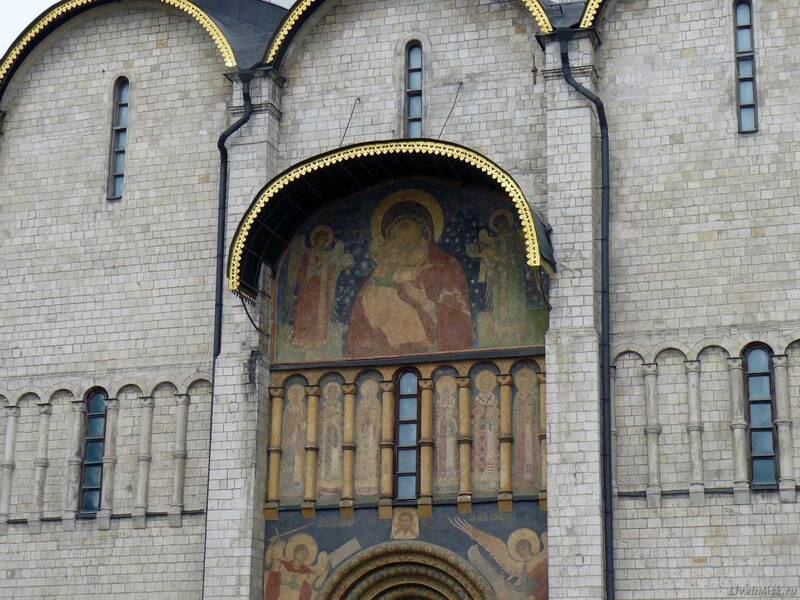 There are old icons and iconostases on the perimeter. 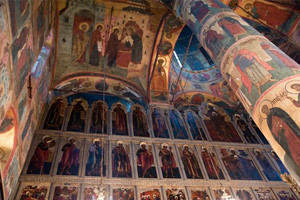 The wooden and well-preserved place of worship of Ivan the Terrible amazes with beauty and a great number of details. What beautiful and native, majestic and homely, austere and elegant it is. It witnessed so many historical events. 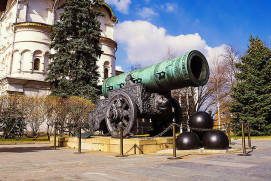 Both Muscovites and all the guests of the capital should visit this place!!! 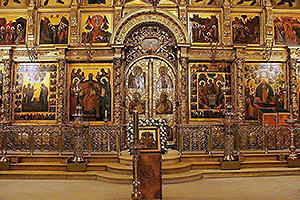 There were lots of people in the Kremlin as well as in the Dormition Cathedral. Of course, this took the shine off the impression of visiting the cathedral. 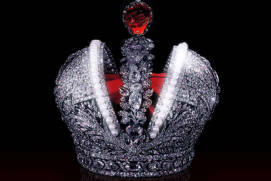 But didn't spoil it finally: majestically, monumentally, heartfully.